Prospects do all the Work! 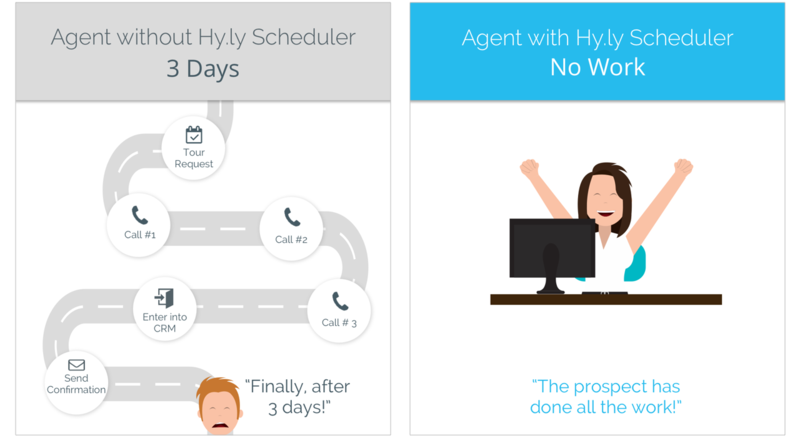 Scheduling automation saves time for agents. When prospects self-schedule, agents find they have extra time to close more prospects and take care of their residents. Agents are in complete control of their calendar. They can decide tour slots, regular meeting times and holidays. A single master calendar allows prospects, agents and call center always be in sync. Everyone knows, in real time, which slots are available and which slots are scheduled. Is your property using Outlook 365? We can send all tours to your Outlook calendar. Is your property using Google Calendar? We can send all tours to your Google calendar. Want us to integrate it with your prospect management system? No Problem. Just let us know.